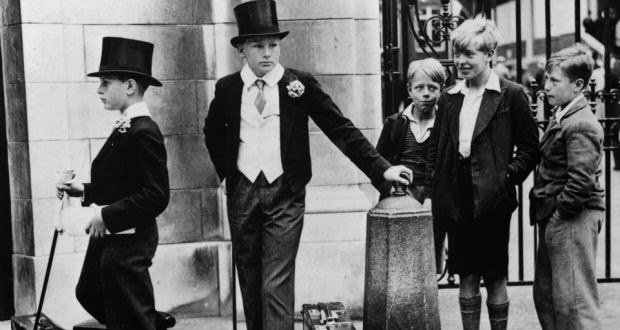 John's Labour blog: Private school pupils and their continual monopoly on privilege. Why don't you blame Labour values?. You scorn sneer people who have been to Oxford. You scorn sneer people who have a posh accent. You scorn sneer people who not working class. When you hear the debate on grammar schools. You will hear about working class kids who ended up in Grammar School, but hated it. Whilst those in comprehensive, feel lost out at been unable to get to grammar school. How can comprehensives work, when you dump bright kids with disruptive ones?. Would you really trust someone to be your MP or run public company whose speech is punctuated with 'innit'? What incentive do state school teachers have to ensure their pupils have high grades? How many state school teachers were fired from their job for poor performance? Visit any state school. They mix the bright kids, with the lunatics, psychos and hoodies. The bright kids get beaten up, bullied, harassed and it kills their confidence. In my state school, the kids enjoyed making the teacher cry. Parents who are paying a lot of money for their child's private education expect results. They will not tolerate their own child or anyone elses disrupting the class. Those kids from private schools ooze in confidence. In private schools, there is no embarrassment in dreaming about going to Oxbridge or any Top Ten university, it's the norm. People are encouraged and supported. Why don't you ask why Diane Abbot does not send her kids to state school? Not sure about depressed Alan but his comments are rather silly and mostly regurgitated Daily Mail bile. Look anon, the issue to hand is not about pros and cons of comps or grammar schools (and I have a view) but why private schools dominate our society and why we allow money - not talent to buy privilege.